Target’s grocery department has become more vegan-friendly over the past few years, offering mouthwatering Ben & Jerry’s vegan ice cream, Silk dairy-free yogurts, and more. In addition to the usual, you can find the Simple Truth brand at your local Kroger or Ralph’s store. This line includes delicious meatless crumbles, patties, griller strips, and tenders! Walmart carries tons of vegan options, including a variety of meatless products from Gardein and Boca, frozen meals from Amy’s, and dairy-free treats like Silk vegan yogurt and Earth Balance Buttery Spread. Whole Foods is a great place to pick up some vegan cheese (Kite Hill is amazing! ), the store’s own 365-brand meatless meatballs and nuggets, and fun snacks, like Earth Balance white cheddar popcorn. And don’t forget to check out their prepared foods section too! Trader Joe’s sells the gamut of vegan foods, including coconut ice cream, dairy-free cheese, and meatless goodies like Chicken-less Crispy Tenders, Chicken-less Mandarin Orange Morsels, and meatless meatballs. Most cities have at least one “health food” store. These are great for finding items that aren’t usually carried by the big-name chain grocery stores, including those from local vegan food vendors. This discount grocery store is pretty great when it comes to vegan items. They offer dairy-free milk, ice cream, veggie burgers, and more. Click here for our favorites. Yes, even Dollar Tree has vegan food—veggie burgers, soy milk, and more for just a dollar! It doesn’t get much better than that! Check it out. Not finding what you’re looking for? Getting more animal-friendly options at your local grocer is a great way to make vegan eating easier. Sometimes all you have to do is ask. Not veg yet? 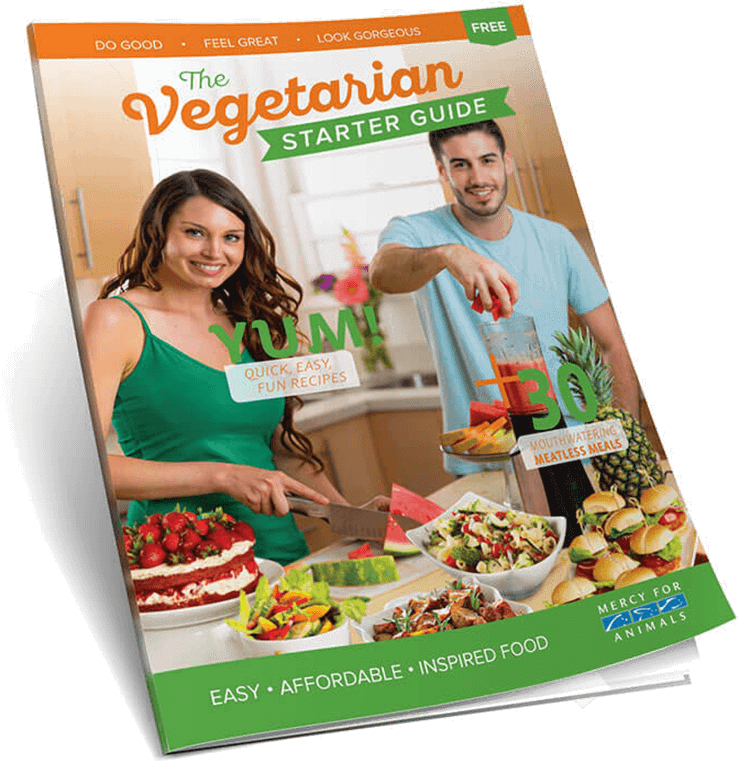 Click here for delicious vegan recipes, meal ideas, and tips on making the switch.